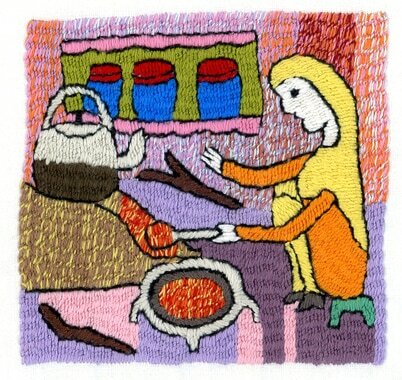 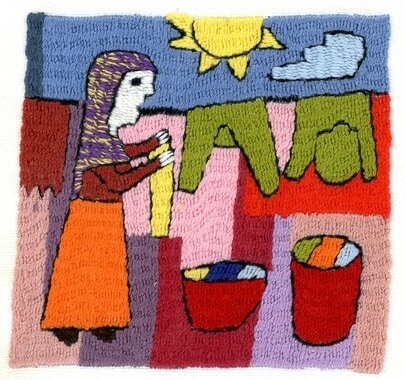 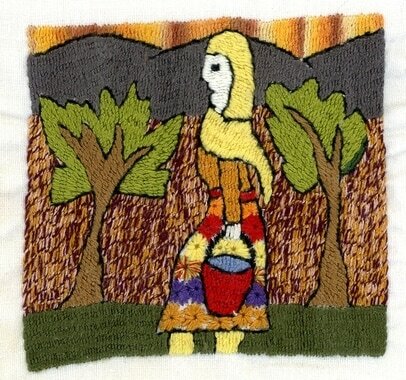 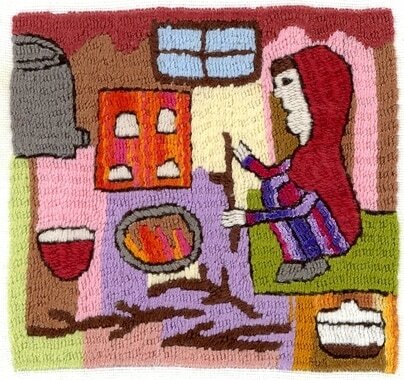 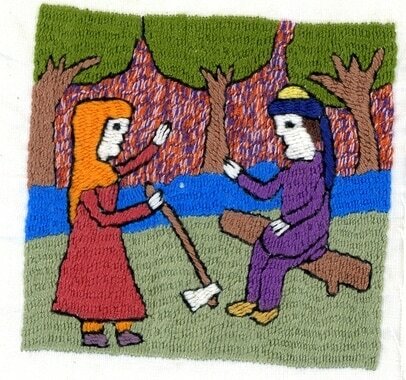 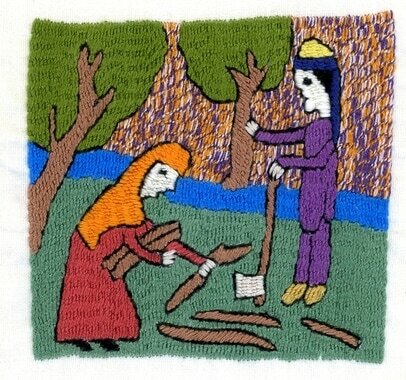 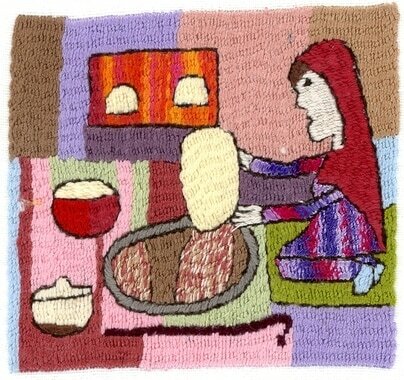 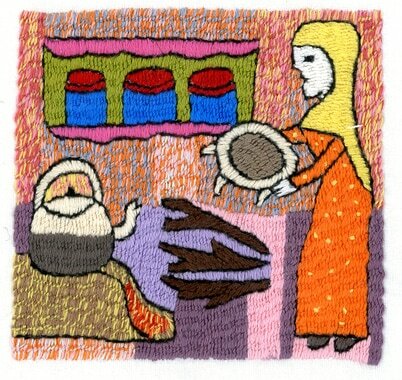 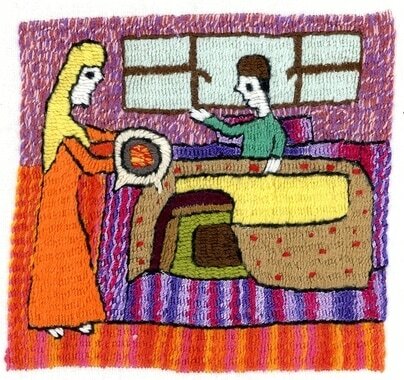 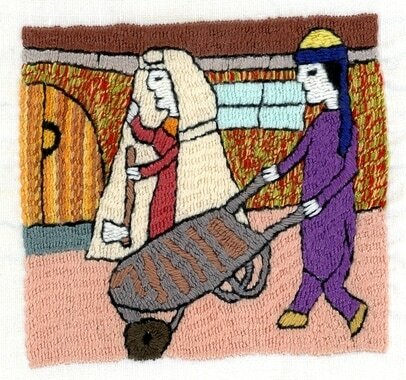 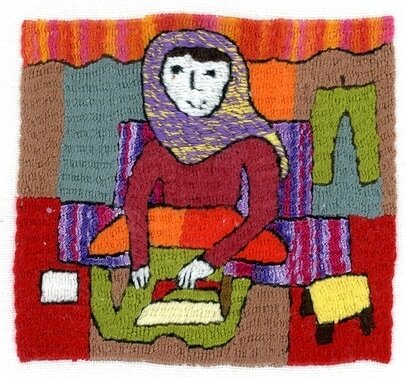 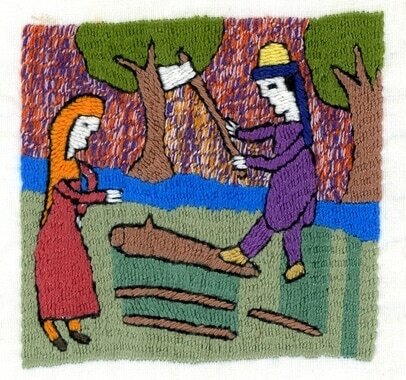 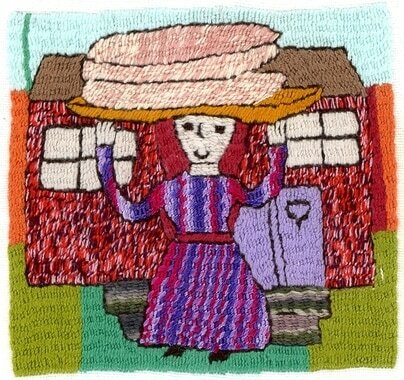 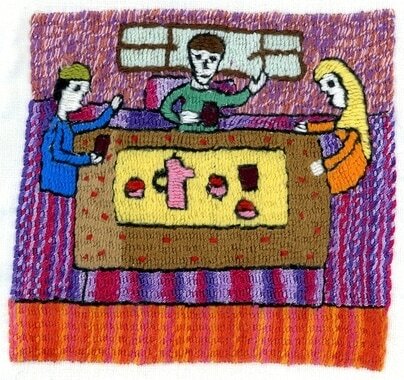 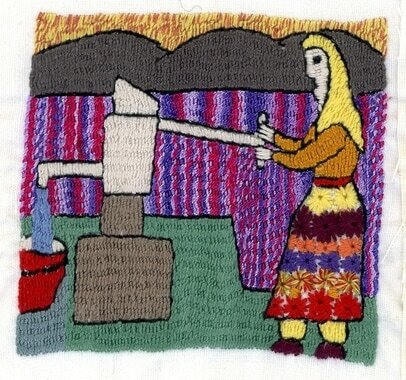 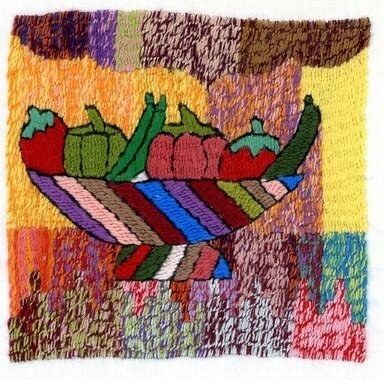 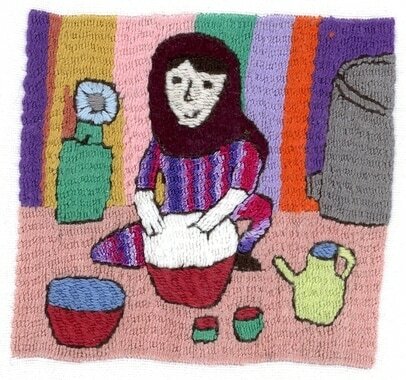 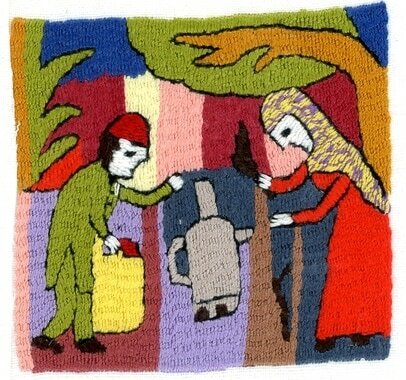 You have already been “reading” Meshgan’s embroideries telling us about everyday life in the villages in a comic-strip manner, thus being a true documentation. 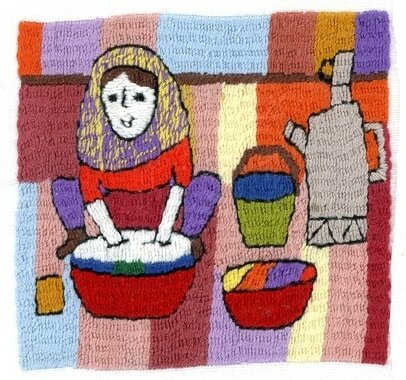 I regularly use these sequences of picture for our newsletters, this time those about pati, the cow dung. 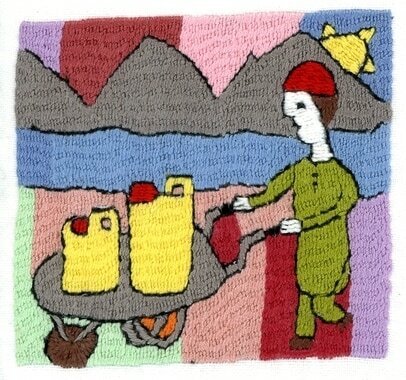 Meshgan always offers short and succinct information.